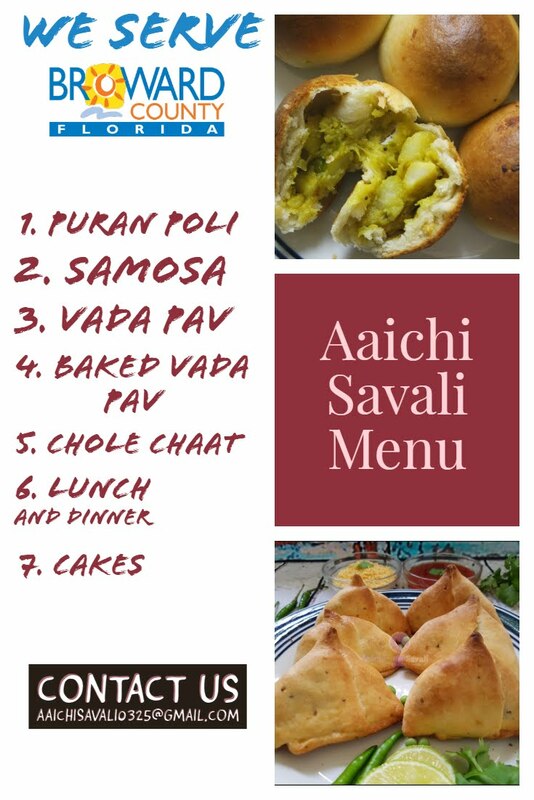 Hello friends, This is pretty healthy, highly flavored and tasty Indian curry recipe. Aloo - Palak curry is easy to make, with minimal time to cook and full of nutrition. 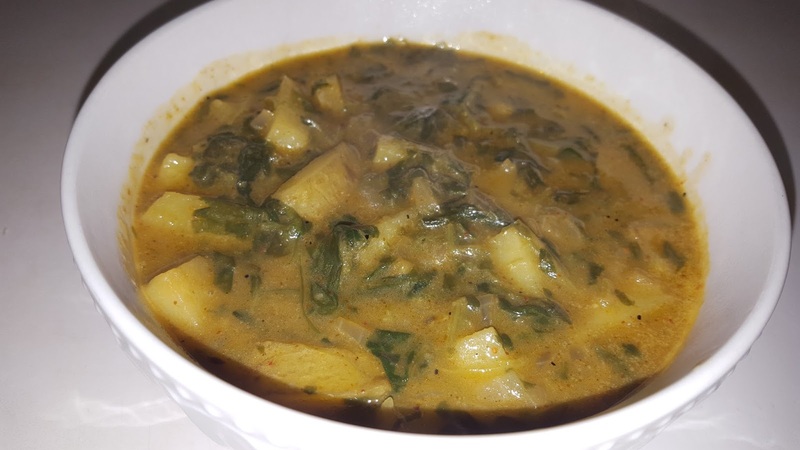 If you are searching for fiber rich diet food, then definitely choose this potato - spinach curry. Take a bowl, wash and add spinach into bowl, cook into microwave for about 4 to 5 minutes. Meanwhile, take a pan add 1 tbsp veg.oil add chopped potatoes and ½ tbsp chilli powder, saute and fry well. Saute till potato get little bit brown. Remove pan from flame. Now, take another frying pan, add 2 tbsp veg.oil, coarse chopped garlic, saute it till get brown color and now add chopped onions, saute it until onions get brown color. Now add ½ tbsp chilli powder, 1 tsp salt, pinch of asafoetida and boiled spinach. Saute it for 2 to 3 minutes on medium flame. After that add fried potatoes, mix all these ingredients well, saute it and keep covered for 4 to 5 minutes on low flame. Keep stirring occasionally. Turn off the flame, remove covered plate and it's ready to serve. Here, tasty, healthy and nutritious potato - spinach curry ready to serve. Serve it with chapatis or with rice. Complete recipe contains - 779 calories. Per serving contains 194.75 calories, along with carbohydrates - 22.92 g, fats - 10.8 g, proteins - 4.95 g.
The folate in spinach is good for your healthy cardiovascular system, and magnesium helps lower high blood pressure. Spinach leaves are low in fat and even lower in cholesterol, spinach is high in niacin and zinc, as well as protein, fiber, vitamins A, C, E and K, thiamin, vitamin B6, folate, calcium, iron, magnesium, phosphorus, potassium, copper, and manganese. It's recommended in diabetes, asthma and cancer prevention managements. Spinach is high in fiber and water content, both of which help to prevent constipation and promote a healthy digestive tract. Healthy skin and hair - Spinach is high in vitamin A, which is necessary for sebum production to keep hair moisturized. Vitamin A is also necessary for the growth of all bodily tissues, including skin and hair. Potatoes are an excellent source of vitamin C, potassium, vitamin B6, fiber, magnesium and antioxidants and are of fat, sodium and cholesterol-free. The vitamin-C present in potatoes can help prevent diseases like scurvy, cracked lip corners, spongy and bleeding gums, and frequent viral infections. Potatoes are high in carbohydrates, and thereby maintain good levels of glucose in the blood, that helps to proper functioning of brain. It helps to prevents formation of kidney stones. It is good to eat aloo - palak curry for lunch and for dinner. Potato and spinach are good source of all the antioxidants, fiber and starch. * Eat Healthy, Stay Healthy.